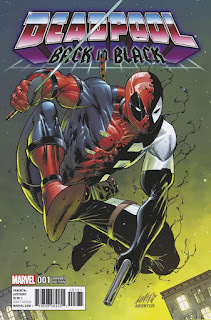 The Geektified Blog: DEADPOOL: BACK IN BLACK #1 Combines Mouthy Merc With Sinister Symbiote! 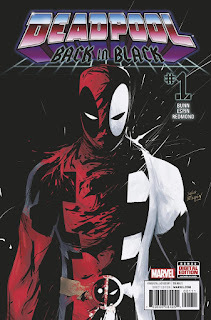 DEADPOOL: BACK IN BLACK #1 Combines Mouthy Merc With Sinister Symbiote! 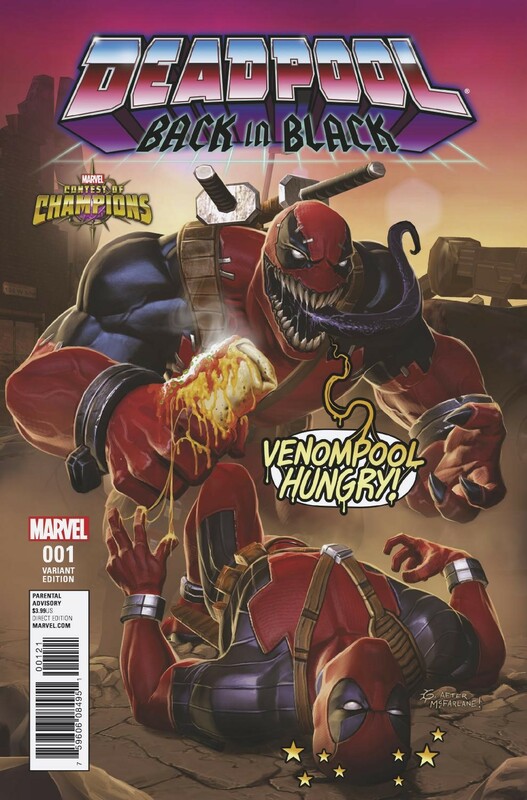 New York, NY—September 7th, 2016 —What happens when Deadpool bonds with Venom? 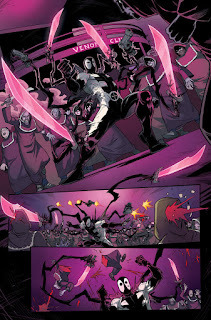 Pure mayhem! Today, Marvel is pleased to present your first look inside DEADPOOL: BACK IN BLACK #1 – a brand-new series debuting this October! Fan-favorite creators Cullen Bunn and Salva Espin are back with a brand-new Deadpool tale that ratchets up the chaos to completely new heights! 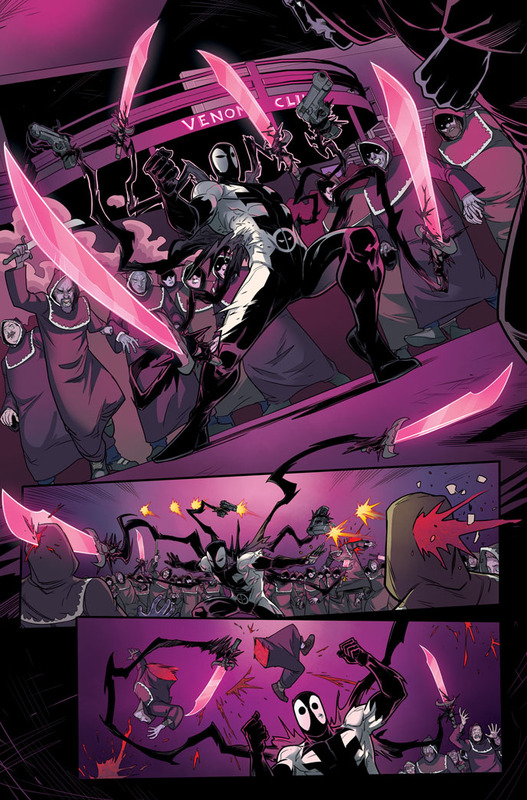 Remember when Spider-Man rejected the alien symbiote way back in the day? 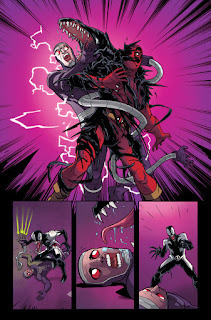 Did you know that for a period of time, the symbiote went slinking back to Deadpool on the rebound? No? Well you do now! 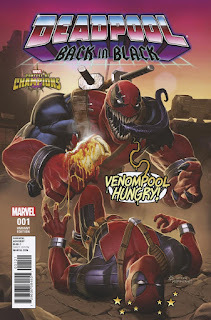 And you won’t believe the damage Deadpool can cause when he’s packing a nigh invulnerable alien symbiote. 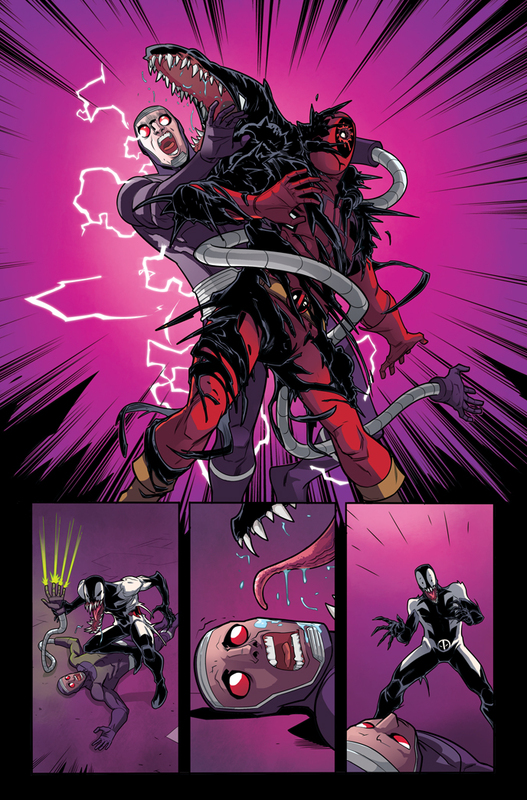 The fireworks begin this October when DEADPOOL: BACK IN BLACK #1 comes crashing in to comic shops and digital devices everywhere!